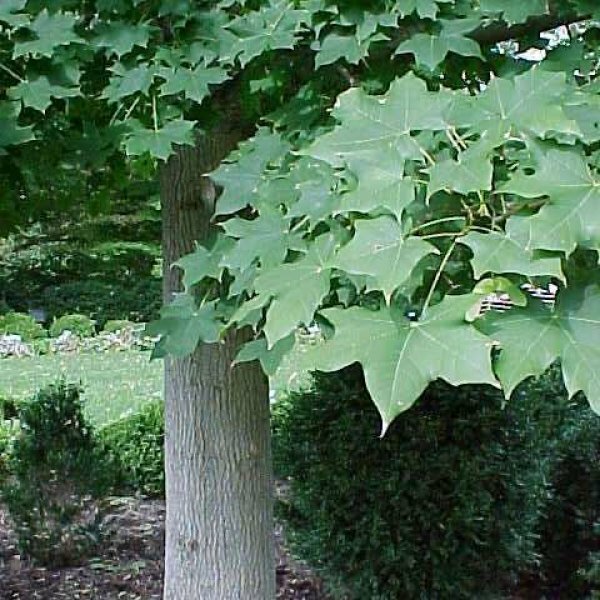 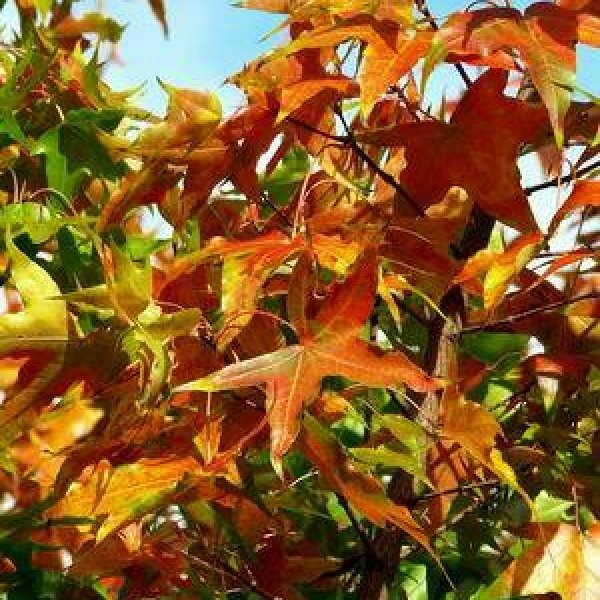 Shantung maple is a tough deciduous shade tree from northern China and Korea that has interest in all four seasons. 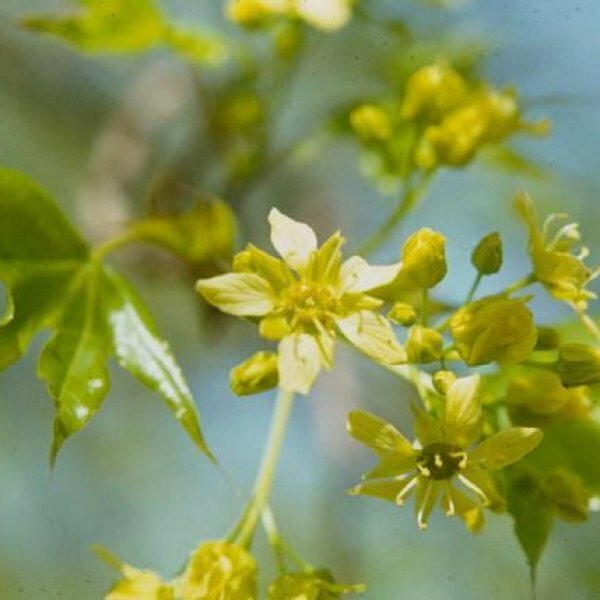 In spring, yellowish green flowers decorate the twigs, which may have a slightly purple hue. 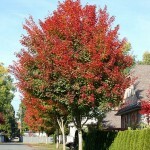 The leaves emerge reddish and mature dark green, looking very much like those of Norway maple. 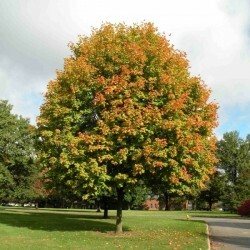 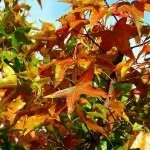 In autumn, the leaves typically turn shades of yellow and orange, with possible blotches of red. 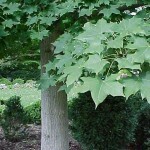 The bark of this tree is gray, and looks like the battered and age-worn skin of a large elephant's leg.